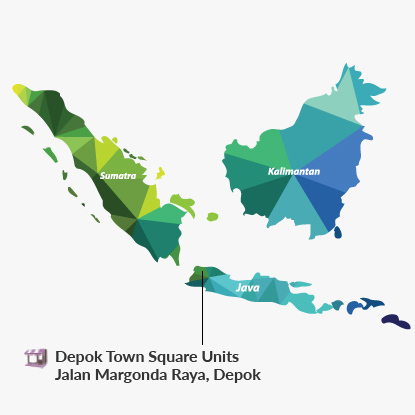 Depok Town Square is located on Jalan Margonda Raya, adjacent to the south eastern side of the prominent University of Indonesia. The centre has direct access to Pondok Cina Railway Station at its rear entrance, which is connected to Jalan Margonda Raya. Approximately 16 km south of Jakarta's Central Business District, Depok is renowned as the city of students, being home to four large universities. Over the last few years, the commercial area of Depok has been growing rapidly with the emergence of many modern shopping centre developments and commercial buildings. The Depok Town Square Units comprise four strata units on part of the lower ground floor, first floor and second floor of the building. 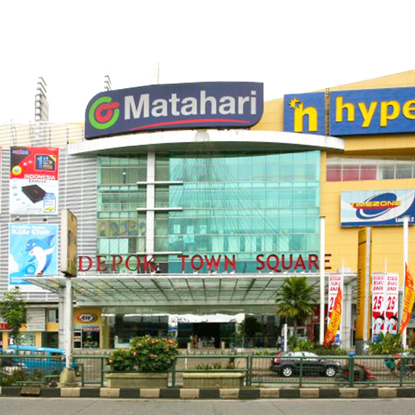 They are currently utilised as a department store, hypermarket and entertainment and games centre.